A team of UCLA-led scientists has discovered important clues to what goes wrong in the brains of people with autism—a developmental disorder with no cure and for which scientists have no deep understanding of what causes it. The new insights involve RNA editing—in which genetic material is normal, but modifications in RNA alter nucleotides, whose patterns carry the data required for constructing proteins. "RNA editing is probably having a substantial physiologic effect in the brain, but is poorly understood," said co-author Dr. Daniel Geschwind, UCLA's Gordon and Virginia MacDonald distinguished professor of human genetics, neurology and psychiatry and director of UCLA's Institute for Precision Health. "RNA editing is a mysterious area whose biological implications have not been much explored. We know what only a handful of these RNA editing sites do to proteins. This study gives a new critical clue in understanding what has gone awry in the brains of autism patients." "We need to understand how a panoply of genetic and environmental factors converges to cause autism," Geschwind said. "RNA editing is an important piece of the autism puzzle that has been totally under-appreciated." Xinshu (Grace) Xiao, the senior author of the research and UCLA's Maria R. Ross professor of integrative biology and physiology, and her research team analyzed seven billion nucleotides for each brain sample. Xiao's team discovered reduced editing in the group members with autism. Specifically, they identified 3,314 editing sites in the brain's frontal cortex in which the autism patients had different levels of RNA editing from the control group. In 2,308 of those sites, the individuals with autism had reduced RNA editing, said lead author Stephen Tran, a graduate student in UCLA's bioinformatics interdepartmental program who works in Xiao's laboratory. In the 1,006 others, they had increased levels of RNA editing, he added. In the brain's temporal cortex, the people with autism had different levels of RNA editing from the control group in 2,412 editing sites, with 1,471 of those sites showing reduced editing levels, Tran said. In the brain's cerebellum, the autism group members had different levels of RNA editing from control group members in 4,340 sites, of which 3,330 sites in the autistic brain had decreased levels. All three of these brain regions are very important in autism. The research, published in the journal Nature Neuroscience, is the first comprehensive study of RNA editing in autism spectrum disorder. "The same piece of DNA can generate multiple versions of RNA, and possibly lead to different protein sequences," said Xiao, director of UCLA's bioinformatics interdepartmental graduate program. "RNA editing allows cells to create novel protein sequences that are not written in the DNA." Scientists had long assumed that a sequence of RNA is a faithful copy of a gene's DNA sequence—and that RNA is merely the cellular messenger that carries out DNA's instructions to other parts of the cell. "This assumption was proved to be wrong when RNA editing was first discovered in the 1980s," Xiao said, "and we are finding many examples where the genetic codes we inherit from our parents are edited in our cells." In another major finding, the researchers identified two proteins, called FMRP and FXR1P, that regulate abnormal RNA editing in autism spectrum disorder. FMRP increases RNA editing and FXR1P decreases RNA editing, Tran discovered. The autism group had reduced editing levels regulated by FMRP, as well as reduced RNA editing overall. 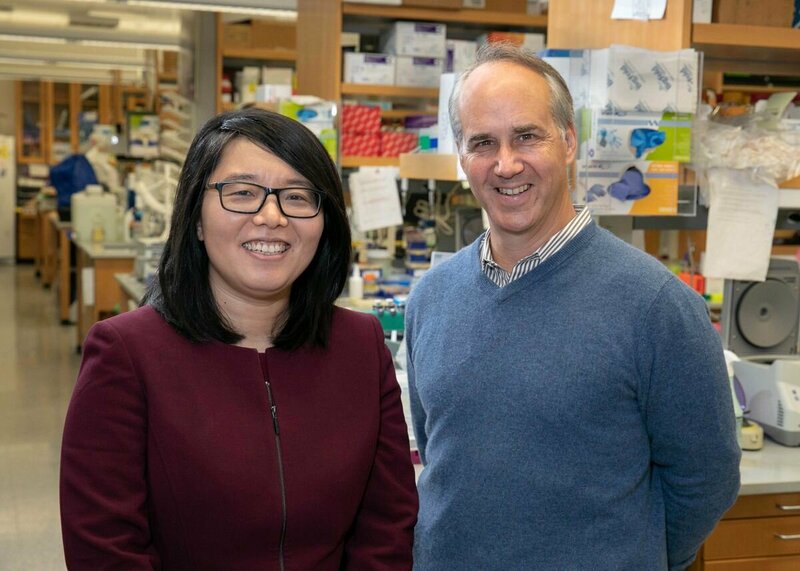 "This is the first strong data showing a broad and direct functional role for FMRP and FXR1P in the human brain and autism," Xiao said. "Something about what FMRP does is clearly critical to autism pathogenesis," Geschwind said. 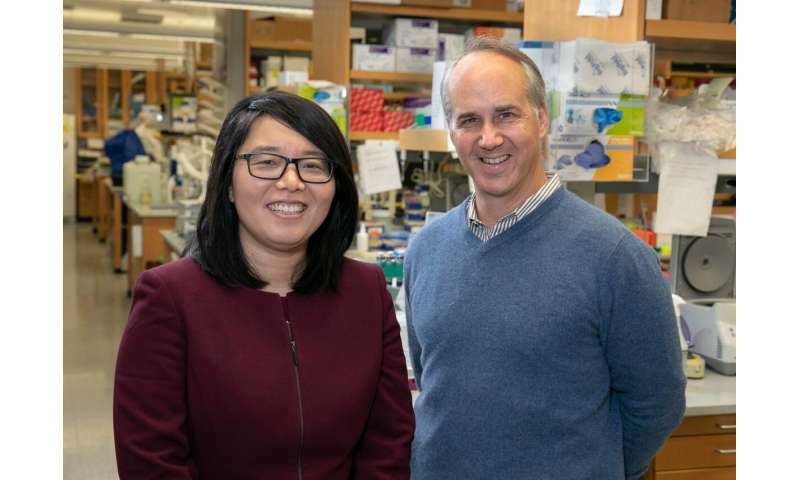 "Grace and her team show that these two related proteins are likely responsible for the reduced RNA editing, as well as the occasional increased RNA editing." It is currently unknown, he said, whether the changes the people with autism had in RNA editing caused their autism, contributed to the disorder or were a result of it. "We can't assign causality," said Geschwind, who praised the research of Xiao's team as "elegant and brilliant." In searching for causes of diseases, most research has focused on searching for mutations in the DNA. "What was missing, until recently," Xiao said, "is to look for RNA mutations that are not coded in the DNA. These changes in the RNA could have similar impact as DNA mutations."